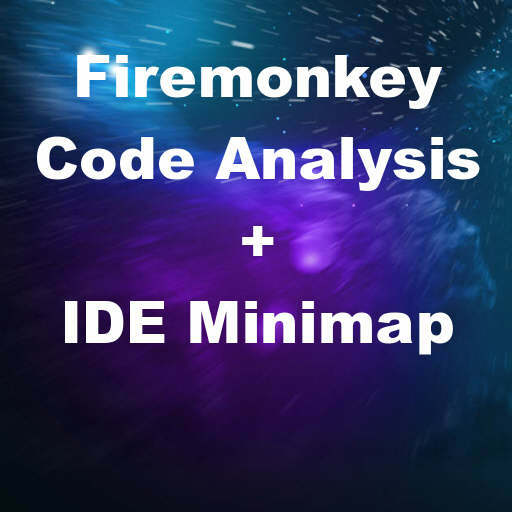 Developer Roman Yankovsky from SourceOddity and David Millington from Parnassus have teamed up to create a FixInsight+Parnassus Navigator IDE tool bundle for Delphi 10 Seattle. There is a blog post about the bundle. FixInsight is a static code analysis tool which helps you find mistakes in your code before they come back to haunt you. There is a blog post showing some examples of the types of problems you can find with FixInsight here. On large code bases FixInsight can probably save you a huge amount of time and/or find copy+paste bugs that are hard to catch on your own. It is bundled with Parnassus Navigator which is a code navigation IDE plugin for Delphi. Parnassus Navigator comes with a popular minimap scrollbar (a scrollable mini view of your code to the right of your code window). It also has a quick function navigation window. We’ve covered Parnassus Navigator before. This bundle is a commercial IDE plugin set but there is a free trial available so you can check it out before buying. The Pro version of FixInsight comes with a command line tool as well. If you’re building apps for Android, IOS, OSX, and Windows you should these two plugins and others to really speed up development. You may be able to use these plugins with Appmethod as well. Head over and download the free trial of FixInsight+Parnassus Navigator for the Delphi 10 Seattle IDE.